Please check our selection of items that are only available at the theatre. If you spend more than ¥3,000 you will receive a free 30-minute parking coupon. A store specializing in rice balls using selected ingredients. Belg Aube offers a wide selection of Belgian dishes and craft beer. Mineya offers bread that contains natural and rice yeast. All music rehearsal studios are equipped with a piano. If you spend more than ¥4,000 you will receive a free 30-minute parking coupon. The only post office in Japan located inside a theatre. The restaurant serves authentic Italian cuisine. 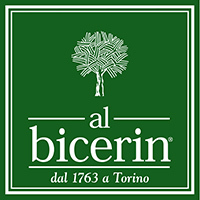 Bicerin is the oldest cafe in Torino, Italy founded in 1763. Enjoy their chocolate drink, Bicerin, which was also a favorite of composer Puccini, philosopher Nietzsche and literary master Hemingway. If you spend more than ¥3,000 (with tax included) you will receive a free 30-minute parking coupon. Our 5th floor nursery staff will take care of your children while you enjoy a performances at the theatre.